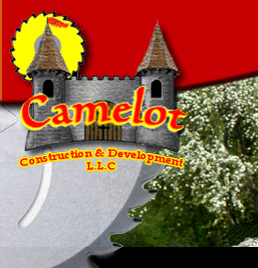 Camelot Construction is a fully licensed & insured residential contractor that has been serving Northern Michigan for over 15 years. We specialize in residential renovations and new construction. Camelot has the expertise and attention to detail to design and construct one of a kind project for every need and budget. We accomplish this by being knowledgeable in all phases of home construction and remodeling. We use only the highest quality materials and have the knowledge to explain which products will best suit your needs as well as meet your individual budget. Camelot takes the time to educate our customers about the various materials and their benefits as well as pose beautiful unique ideas to make your home one of a kind. We are a full service contractor, with solid working relationships with highly qualified and licensed electricians, plumbers and heating contractors. You'll find many before and after photos of our work throughout this web site as well as references from some of our previous clients. Customer satisfaction is key, and we will not quite until we have a satisfied customer every time. Let us give you the facts on how we can fulfill your needs, solve problems and make your dream a reality.